WELLINGTON, Florida-April 12, 2017-Wednesday saw a series of surprises on the final day of bracket play in the 2017 U.S. Open Polo Championship® at the International Polo Club Palm Beach. The first game of the day pitted the two remaining undefeated teams against each other to determine the #1 seed heading into the mini quarterfinals. 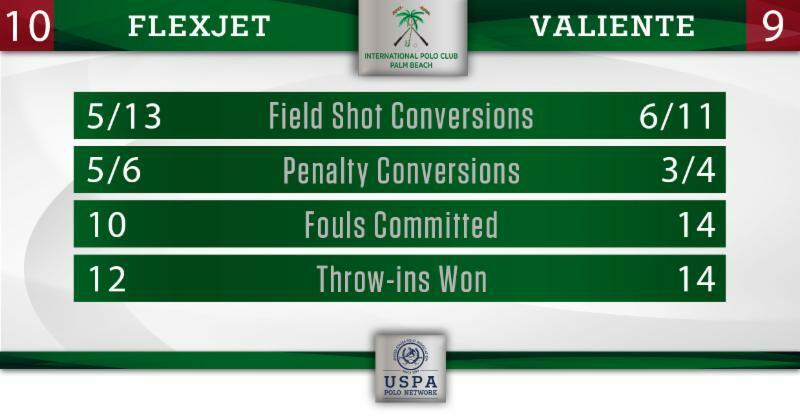 Valiente usually starts strong, but it was Flexjet who held Valiente scoreless in the first chukker. 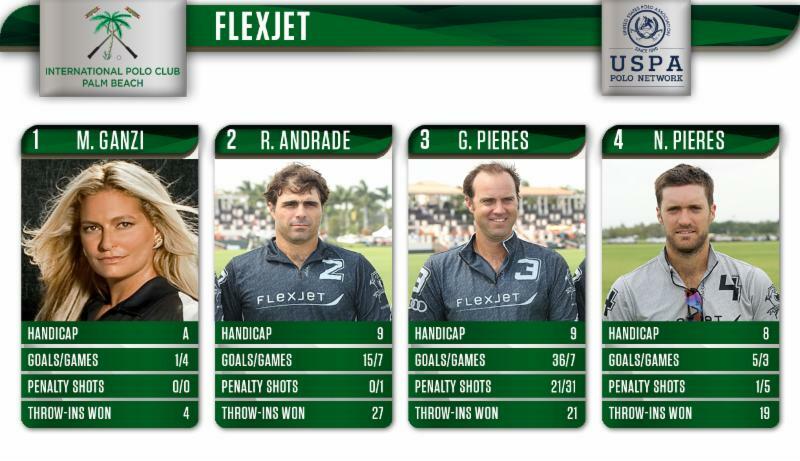 Gonzalito Pieres scored a goal from the penalty line and another from the field to give Flexjet an early 2-0 lead. Flexjet took advantage of 4 Valiente fouls in the first chukker to control possession and not allow Matias Torres Zavaleta and Diego Cavanagh to break away as they have done in previous games. 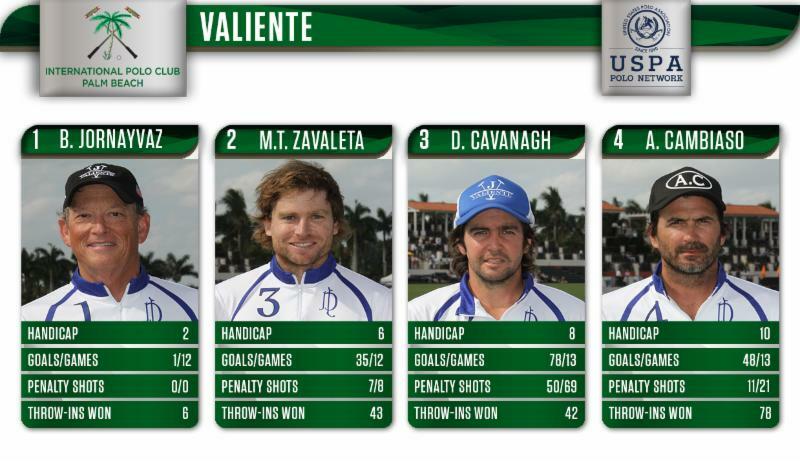 Valiente bounced back in the second chukker with 3 goals, one each from Adolfo Cambiaso, Cavanagh and Zavaleta. But the combination of Rodrigo Andrade, Gonzalito Pieres and Nico Pieres matched up very well against the usually dominant Valiente team. 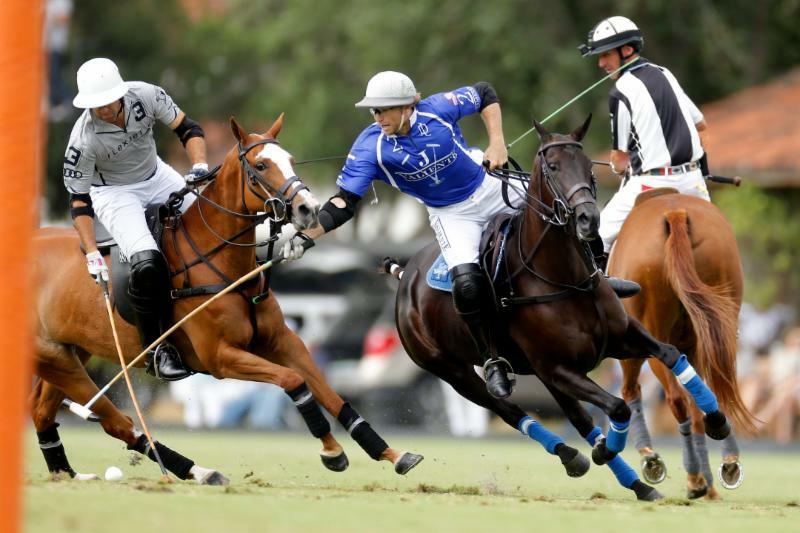 Andrade worked hard throughout the game on Cambiaso, limiting his time on the ball and more than once taking him out of the play to help the Flexjet defense. Nico Pieres had a big impact on the game defensively, pressuring Zavaleta and Cavanagh in the middle of the field, which allowed Gonzalito the freedom to attack downfield. Foul trouble hurt Valiente early as Gonzalito Pieres was taking advantage of the penalty opportunities, converting all 3 chances he had in the first half. Meanwhile, Flexjet was preventing Cavanagh from getting to the penalty line, only giving him one penalty 4 chance in the first half—a major factor when you are trying to beat a tough Valiente team. Flexjet took a 7-4 lead into halftime and maintained it through the fourth chukker as both teams scored one penalty goal each. Valiente wasn’t going to go quietly. They made a push in the fifth chukker, led by Cambiaso causing two turnovers in front of the Flexjet goal and converting both chances. Cavanagh took advantage of 4 Flexjet fouls to convert 1 of 2 penalty chances to tie the game at 8. However, Flexjet’s Gonzalito Pieres was at the top of his game and put his team on his back, scoring another goal from the penalty line. He ran in a throw-in with time running down to score his seventh goal of the game and lead Flexjet to the 10-9 victory. That handed Valiente their first loss in a 26-goal game this season, as well as securing the 1st seed in the semifinals.